If you are unhappy with your credit card reading, read our Refund Policy to see how you can get a refund. Not available with 190 calls. If you wish to exchange related website with us, please copy and paste our text link code below into your link page first and send us an email when done with your link information so we can add your website to our link page. Make sure to provide the URL containing your link back to us. Thank you..
<a href="https://www.psychic.com.au/psychic-reading.htm">Psychic Reading from Accurate Psychics, Mediums and Clairvoyants</a> <br> Australian Psychics, Mediums and Clairvoyants offer psychic reading, mediumship, tarot and clairvoyant reading by phone. 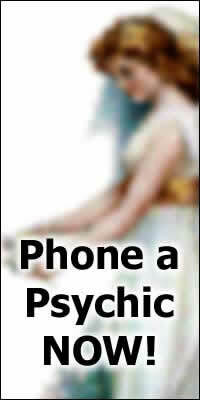 Receive the insight and guidance of our accurate and genuine psychic readers. www.Psychic.com.au Copyright © 2009-2014. Access Positive. All Rights Reserved.